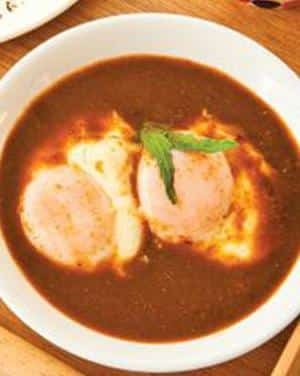 They are called "drowned eggs" because they are prepared with plenty of broth (caldillo) and / or sauce. The first time I heard someone say huevos ahogados I was just a little girl in my great grandmother’s house, trying to figure out why they were talking about eggs that had drowned. Being the nosey kid I was, I asked what they meant. My great grandmother was from Hidalgo. and was whipping up a batch of spicy tomato salsa to poach eggs. I watched as the salsa boiled in the pan as she carefully broke eggs into the hot mixture. She then explained to me those were the eggs drowning in the salsa. I’ve loved this dish from the first time she served me some…. till now. Make this simple dish for your family. Boil the tomatoes, onion, and garlic then peel the tomatoes. Liquify the tomatoes, onion, garlic, and 1/2 of the broth in a blender. Heat a saucepan over medium heat the vegetable oil and fry the sauce. Cook for 5 minutes and add the rest of the broth. Add cilantro and season. When it starts to boil, lower the flame. Taste and adjust with salt if needed. Bread the eggs inside the broth, you must add one by one to prevent them from sticking. Cook for 10 minutes with the pot covered. The eggs can be cooked soft or hard. Remove the cilantro and adjust the seasoning as you like. We like to make this non-spicy so all the family can enjoy it so feel free to reduce amounts of spicy ingredients. Serve with refried beans, rice. and tortillas or tortilla chips.